But with four interwoven lives in play, can anything be that simple? 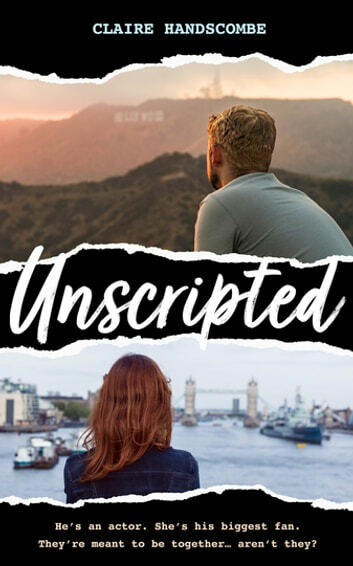 Thoughtful, quirky, and moving, *Unscripted *is a story of friendship and second chances, and asks the question: how far can you take your dream? A beautifully written novel that thoughtfully explores what it means to chase your dreams. It’s heartwarming and heartbreaking at the same time. I really enjoyed that each chapter switched between the perspectives of the four main characters. It makes you fall in love with each one individually! 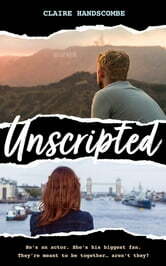 2.5 Stars I think I really need to read the publisher's blurb more carefully; for some reason I expected this book to be more of a psychological thriller or maybe an examination of the nature of obsession. Instead, it is a very loose rendering of a romantic comedy. When I say loose, I mean almost entirely devoid of both elements. What is supposed to come across as comedy fell very flat for this reader and seemed to rely almost entirely on mockery of one character or another and the romance is actually very disturbing. The biggest question I had was all centred around Libby friends. Apparently they have all been friends since their Cambridge days and have managed to keep in touch over the years since they finished their degree courses and moved in to the world of work. Behind her back Libby's friends despair of her complete obsession with actor Thom (yes, the spelling does irritate me - it isn't quirky or cute, it is downright annoying) but to her face actually support the madness. If they are such good friends why do they not instigate an intervention? Libby is exhibiting behaviour that is irrational and shows how emotionally stunted she is and this is the time when she needs her friends. Now, this, this I could have got behind but this "follow your dream deranged stalker" just left me feeling very, very uncomfortable. Thom himself is your usual actor type, just seemingly without ego. Recently separated from his wife and mother of his 4 children - may even be divorced I was never quite clear and by this point in the book I wasn't really too fussed to be honest. Struggling after his popular series comes to an end he is still chasing that "big break" and doing the interview circuit. After an Alumni evening at Kings' in Cambridge he meets Libby and things just get stranger and stranger from a reality point of view. Dan, one of Libby's circle of friends, is a complete milquetoast. Whilst his devotion is admirable it is almost as disturbing as Libby's behaviour. He, at least, tries to distance himself from Libby but doesn't really succeed as he allows himself to be dragged in to her orbit time after time. The only character I could really get behind is Ebba. Ebba the former ballerina (never professionally) turned actress whose biography provides a turning point for Libby. She is the only character who really had layers and real depth to her, even if she also suffers from a certain amount of gullibility where Libby is concerned at least the character acknowledges this and can explain her irrationality. On the whole this was not the book for me as I found that the pathology of the characters was unsettling and, in some cases, borderline psychotic. If this was the basis of the book this would have been fine and there would have been some sort of resolution. Unfortunately that is not the point of the book and we seem to be instructed to ignore the giant issues facing our main cast and to treat their issues as being just quirks. THIS IS AN HONEST AND UNBIASED REVIEW OF A FREE COPY OF THE BOOK RECEIVED VIA THE PIGEONHOLE.